Went to the Yahoo SearchMonkey Developer Event last night. Presentations by the developers of SearchMonkey was followed by a lively debate. Using SearchMonkey, developers and site owners can use structured data to make Yahoo! Search results more useful and visually appealing, and drive more relevant traffic to their sites. 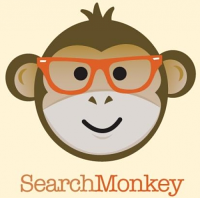 SearchMonkey seems to be one of few innovative developments in search over the past few years. Looking forward to meeting again those from the London web development community I shared a beer with last night at this great event.